As far as I know, neither of my kids have fallen victim to bullying **knocks on wood**, but as Boy Wonder gears up for junior high, visions of tight-fisted collar threats and backpack pummeling dance through my worried mom head. 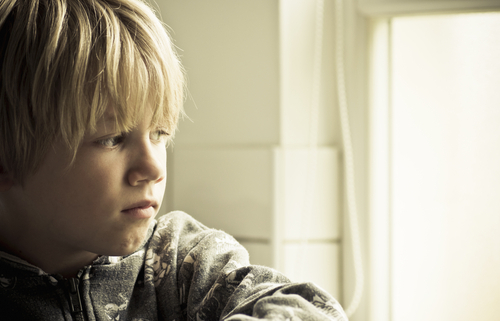 Would I know if my child was being bullied? Would my child tell me? The truth is, I don’t know, especially because I never told. As someone who was bullied throughout elementary school, I know how shameful and frightening it can be to fall victim to a peer aggressor. I never told my parents. I never told my friends. I kept the toxic secret out of fear for myself, and sadly, out of fear for what would happen to my bully. As parents, we’d all like to think that we’d know if our child was being bullied. Unfortunately, victims of bullying will often go to great lengths to hide their painful truth. Take a look at 9 signs to watch out for.